I’m sorry if you feel a little like my kids right now, and I promise that we’ll be back to our regularly scheduled programming soon, but I’ve been so overwhelmed by emails and instragrams and facebook posts and reviews that it just doesn’t feel right not to acknowledge how grateful I am for all the feedback. (Do not mistake this for complaining.) I just wanted to share a few of of the highlights, beginning with the photo below of my friend Kirsten and her adorable daughter Billie, who apparently thinks the skillet of meatballs (or Andy’s head?) is scratch-and-sniff. 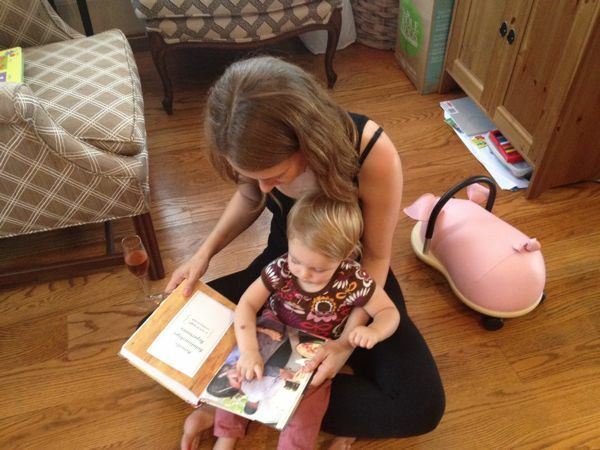 The photo on the left was sent by reader Betsy, who I think should be a prop stylist in her spare time. (Eight books, by the way. Now there’s a loyal supporter.) 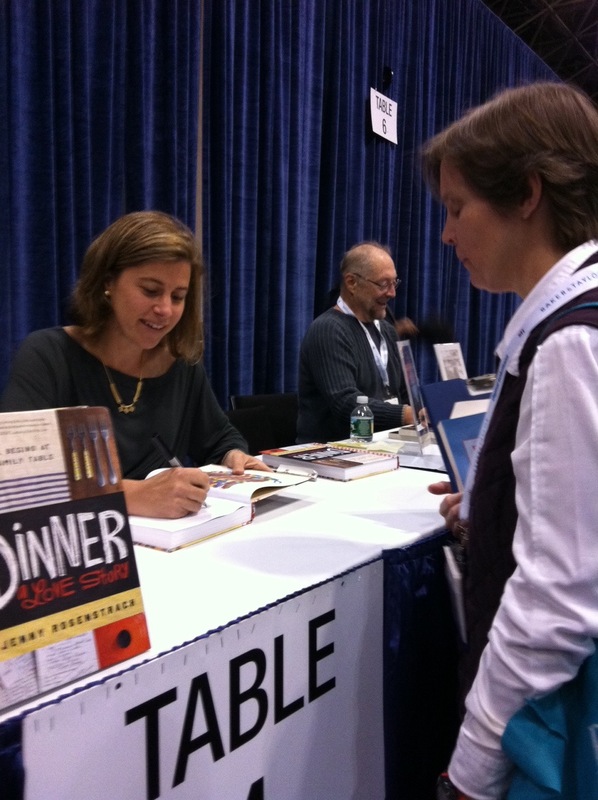 On the right is me signing books at BEA, a book convention in NYC and first on line was Hallie (not shown), who I lived next door to for the first 18 years of my life and hadn’t seen in ages. I knew it was going to be a good day. I have also been loving the instagram action and I just want to let you know that I will be doling out bumper stickers at random to anyone who sends me a photo as appealing as the one you see above. (I for one, would like to own that nightgown and crawl into that bed.) Thanks to April C for sending it in. The photo up top of this post is from longtime loyal reader Jodi. 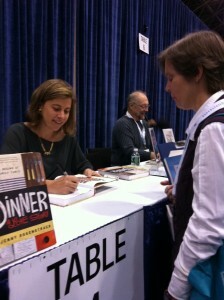 Another shot of the signing at Book Expo America. 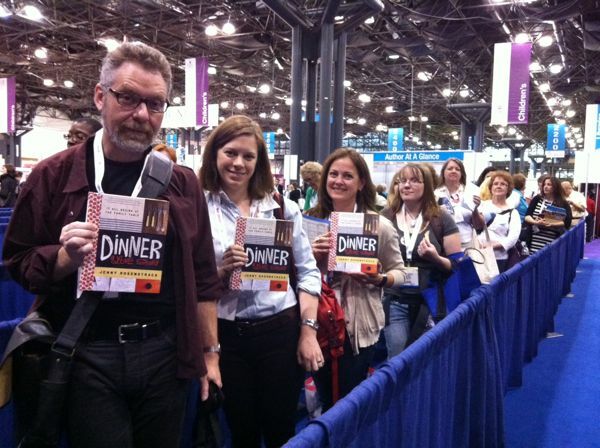 To the nice people in this photo: I hope you don’t mind that I included you in my round-up. I didn’t know how to get in touch but I couldn’t resist posting it. 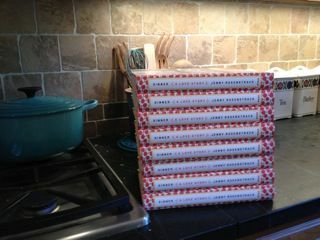 Please contact me if you are one of the people who were nice enough to hold up your books and I will send you something! Lastly, I think the review of DALS on Food52 (“The Family Cookbook Problem“) has been my most favorite one so far. This Nicholas Day character who wrote it seems to be un-Googlable and unFacebookable and so I am forced to thank him publicly. 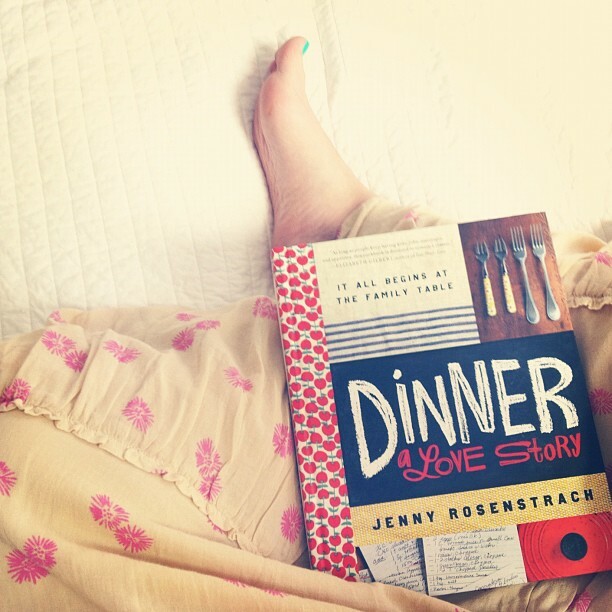 Particularly for this line: “[My second childs’s] arrival coincides with the publication of Dinner: A Love Story, the cookbook version of Jenny Rosenstrach’s blog. Her book and blog are something very rare in the genre of family dinner: They inspire neither homicidal nor suicidal impulses.” That might just be the nicest thing anyone has ever said to me. Back to dinner (and KenKen) on Monday! Have a great weekend. 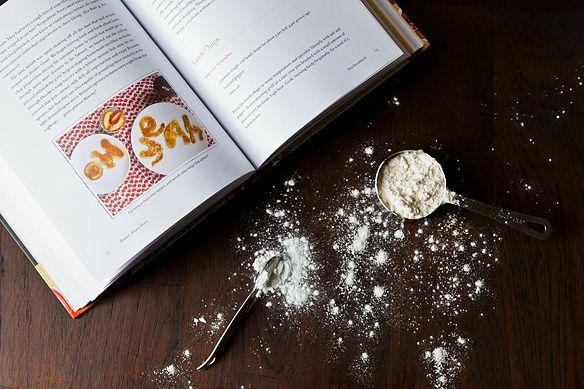 Insanely beautiful photo of flour-splashed cookbook by James Ransom for Food52. Reminder: Tell me your favorite part of the book (not on this page, but through the official contest survey) and be eligible to win some pretty awesome prizes. You have until July 9 to enter so get reading! Congratulations! The book looks wonderful – it is officially on my wish list, and if someone doesn’t buy it for me soon, I’ll have to go get it myself. Soak up all this attention now…how exciting for you and your family! 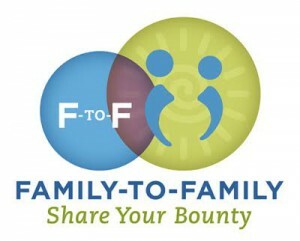 What an exciting time for you and your family! I had to comment, this week I was hit with a horrible stomach bug (not fun at 8 months pregnant!). Needless to say the last thing I could think about was food (which is typically all I think about). Just as I was recovering yesterday afternoon guess what arrived at my doorstop? Your book! I was so happy to have my stomach ‘back’ so I could dive right in. It is already full of post it notes for this weeks grocery list (we’re having a date night on the patio tonight with your split personality pizza) and will be at my side at t-ball games and the pool this weekend. Congrats on an awesome job well done – beyond inspiring to me! Congratulations on the publication of your book! You should be so very proud. 🙂 Oh, and the skirt from that Instagram pic is actually on sale right now at Old Navy! Also, weird that little Billie is trying to scratch-and-sniff Andy’s head when she appears to still be of the age when her own head is so delicious-baby-musk sniffable herself. This is so exciting!! Isn’t this all so exciting?? 🙂 I read that review on Food52, what a GREAT review and he so mirrors my own complaints on most ‘family’ cookbooks. I already submitted a favorite part for the contest, but I wanted to comment with more than 2 sentences:-) I completely agree with all of the comments above, especially Frankie’s. I myself am only living part 1 (married 3 years no kids yet…and it was so much fun to read more about your love story!) but everything you have to say is just making me so excited for the parts to come in my own life. Your book is like the blog on steroids and it’s just so feel good, I keep breaking out in a grin as I read. 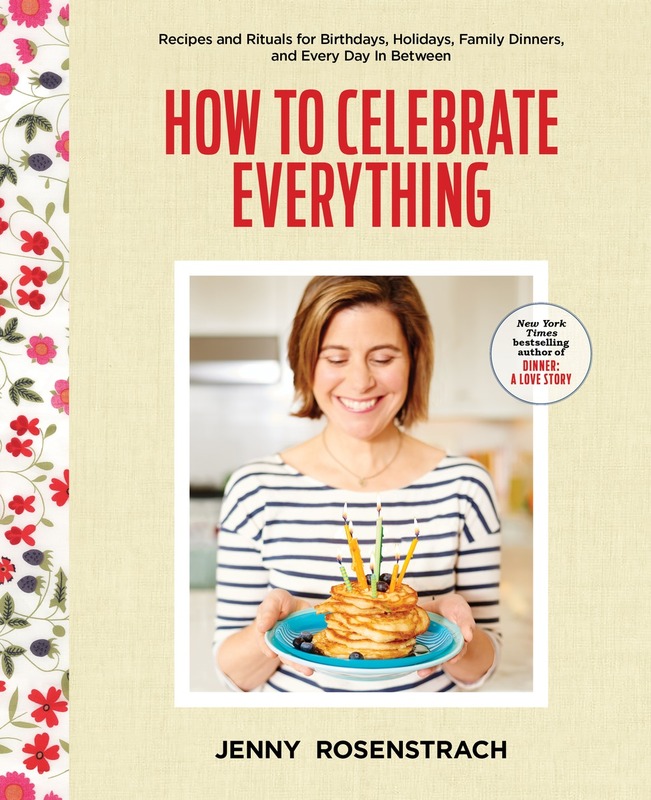 The recipes alone would be worth owning the book for but you are such a beautiful writer and I’m so glad you decided to share your journey with all of us. Can’t wait to make the birthday scallops!! I should be sleeping, but instead I am staying up to finish reading your beautiful book. It’s probably never going to see the bookshelf since it will just live in my kitchen or on my night stand. Congratulations! You’re an inspiration, Jenny! Hence the healthy eater. Congratulations! Please come to DC area…National Book Festival is in September! I have read the book cover to cover in two days. It is just fabulous. 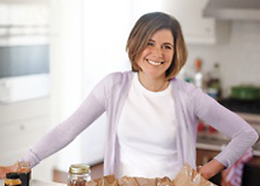 I enjoy cooking for my family and we sit down together often but I know you will inspire us to do it more. Tonight I made the fish cakes. Everyone loved them though my son did pull out the ketchup – still counts though. Tomorrow, I am trying the pork loin. I often make pork tenderloin but never pork loin and it was one of those ingredients that I avoided – admittedly b/c I didn’t know if it was the same thing or different then pork tenderloin. I was inspired to ask the butcher and left the grocery with a pork loin today… Can’t wait to try it. Thank you so much. As I was reading, I kept nodding “yes, yes, YES!” on almost every page. I loved the line where you “reduced” the sauce by pouring 1/3 down the drain. Then I started thinking of how I want to get this book for everyone I know – my friend who just had her third kid, my in-laws, and just about everyone else. first, what is the tag for instagram? i found #dals but it also seems to be a group of some young ladies? second, this book has already become a household favorite. i have a 4 year old and a 9 month old and dinner together (while something my man and i decided was muy importante) has sort of become a nightmare most nights. 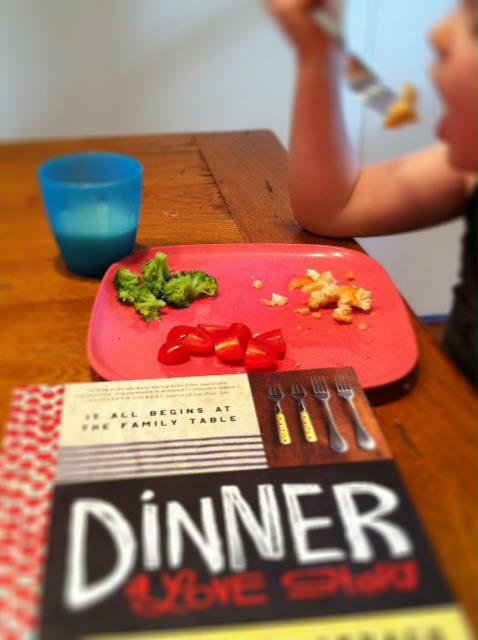 i had forgotten that dinner wasn’t just another chore to be marked off at the end of the day. you’ve given our little family a hug and a high five between two bound covers.